Joseph Kopser, CEO of the mobility app RideScout. There are a lot more options for getting around Austin these days other than driving your own car, and even more apps and technology to help you navigate those options. But some of the big investors in this new technology may surprise you. They aren't just coming from Silicon Valley — Detroit and others in the auto industry are getting in on the action as well. 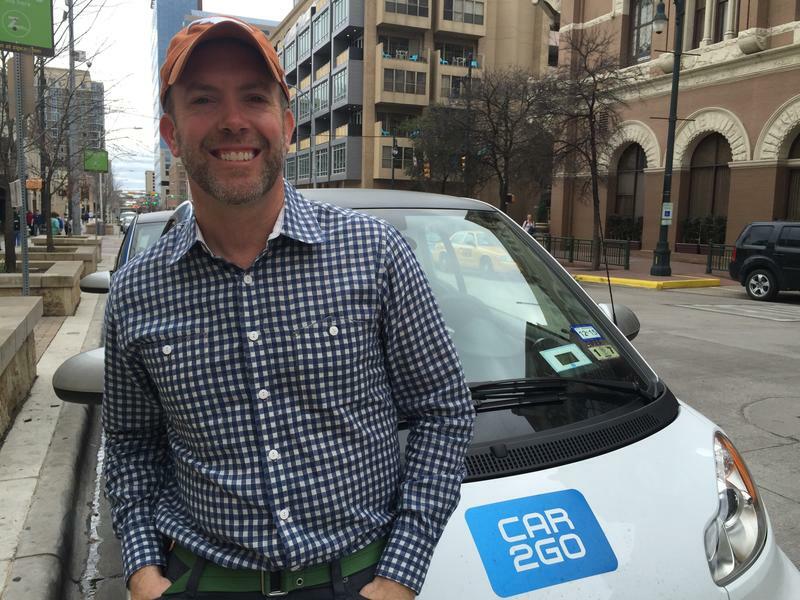 Take the Austin-based RideScout, for example. "RideScout is essentially the Kayak of ground transportation," says Joseph Kopser, RideScout CEO. Kopser is a veteran who came to SXSW a few years back with an idea: What if you could take something like transportation and mobility, and make it as easy as booking a flight or hotel room? "We – Ridescout – were a PowerPoint and a prototype," Kopser says. "We went to SXSW – we found the investors that we needed, and then from that point we ended up raising the money we needed to bring in real developers to build what we need." Apps like Ridescout give you multiple options for getting around. What started as a PowerPoint presentation at SXSW Interactive a few years back is now a multi-modal transportation app available in nearly 70 cities. Open up the app, put in a destination, and it will give you every option you have to get there, whether it's bike-share (like B-cycle), car-share (like Car2Go), mass transit (like Capital Metro), taxi, or options like the carpooling service Carma, or even your car, bike or own two feet. You can sort the options based on time or cost, and in Austin you can purchase your transit tickets through the app itself (or book your Car2Go). It's essentially one-stop shopping for getting around on the ground. Recently, a large company bought RideScout, and it happens to be the same company that owns Car2Go, the car-sharing company. But this company isn't some Silicon Valley startup, it's actually a car manufacturer – the same company that makes Mercedes and those white and blue smart cars used by Car2Go — Daimler. "[Daimler] invented the airbag, they invented anti-lock brakes," says Kopser. 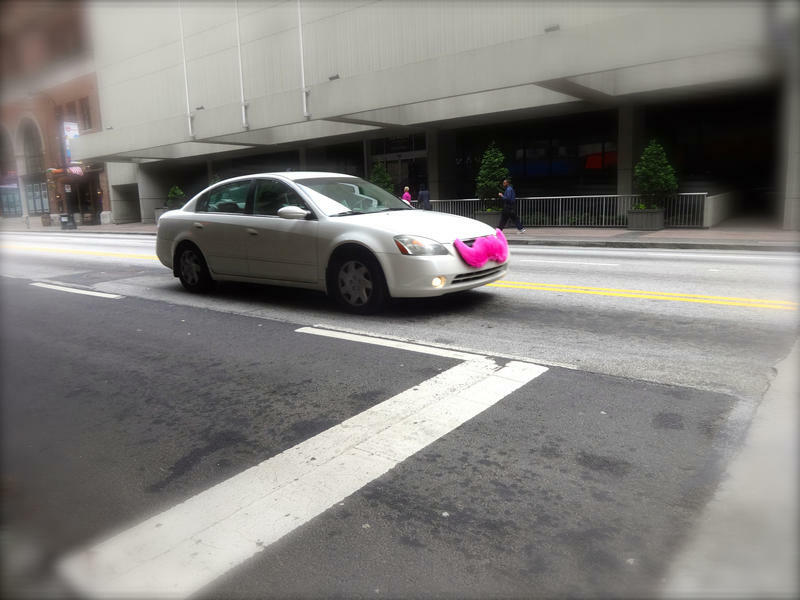 "So this new revolution in mobility, where it's not about ownership, but about access? For them it makes perfect sense." For decades, the automotive business model was based on building, and then selling or leasing, cars. But listen to what some of big auto is saying today, and they sound much more like technology companies than just car companies. Take Ford, for example, which made a lot of noise at the Consumer Electronics Show earlier this year when they announced 25 experimental projects aimed at moving people around more efficiently, including transit shuttles and bicycles. BMW has their DriveNow venture, an all-electric car-sharing service in several U.S. and European cities. General Motors is dipping their toes into the water, too. "The alternative mobility system is something we're keeping an eye on," says Alisyn Malek with GM Ventures, the venture capital investment arm of General Motors. While GM is based in Detroit, they also have a research lab in – you guessed it – Silicon Valley. "We do look for new business models that can help us sell more product, and have a product that's attractive to our consumers," Malek says. You can see a lot of this shift in the industry at this year's SXSW Interactive Festival. Yes, there's a lot of focus on self-driving cars and connecting cars to each other, but there's also a lot of interest in how all this technology could change the idea of car ownership all together. "I think it's probably the biggest year ever in terms of auto industry participation," says Hugh Forrest, Director of the SXSW Interactive Festival. "And this is, you know, ripe, fertile ground for geeks. How can you disrupt that? How can you change it?" Austin is just one of many fast-growing cities in the country, and the world. In the next few decades, the number of mega-cities – those that have ten million people or more – is projected to nearly double. And it's simply going to be physically impossible to move everyone through those spaces if they're all driving in their own cars by themselves (and incessantly looking for parking). BMW's all-electric car-sharing service, DriveNow. Combine that issue of moving more people through less space with improvements for all transportation modes brought by new levels of connectivity, along with changing trends in car ownership (which have actually started to decline in the U.S.), and you can see why the auto industry would want to get in on the ground floor of a potential shift in its business model. Whether it's Ford with bicycle technology, Daimler buying mobility apps, or BMW with car-sharing, the auto industry's already changing. "Access trumps ownership," says Kopser with RideScout. "They [the auto industry] don't necessarily have to sell you the whole car for the whole time. Soon we're going to stop referring to them as automobile manufacturers and start calling them mobility services." "Will we crack the code on our first try? No, and that's okay," Mark Fields, President and CEO of Ford, said during their CES keynote this January. "Because it's part of innovation. As we drive innovation in every part of our business, we're determined to learn. We're determined to take risks. And we're determined to challenge custom, and question tradition, and change our business going forward." While car companies will still sell and lease cars for the foreseeable future, these investments into car-free or car-lite lifestyles are significant, and they will likely make it easier and easier to get around, with — or without — a car. 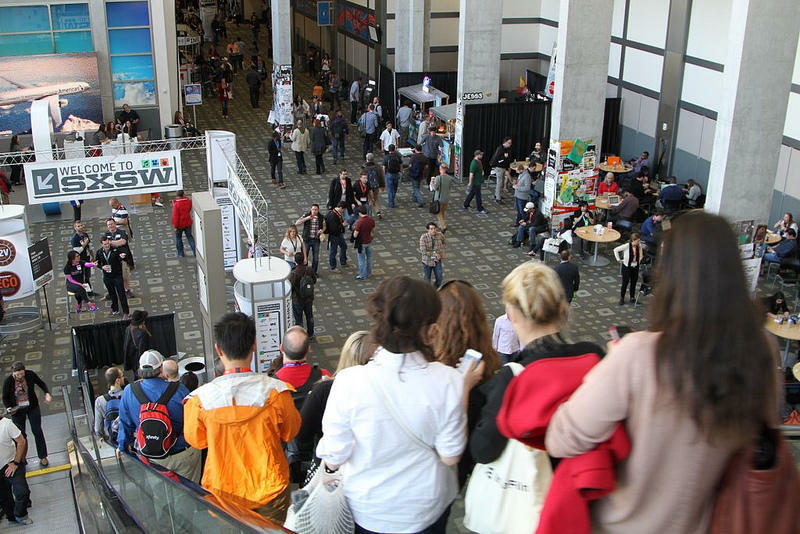 With just two days left, SXSW Interactive is in its home stretch, ahead of the start of the fest's music portion on Wednesday and the inevitable second surge of festival-goers. Interactive may be the calm before the storm that is SXSW Music, but it's always delivered on promises of drawing tech luminaries to Austin — highlights this year include keynotes from Lyft CEO Logan Green today and a Tuesday keynote from Dr. Astro Teller, head of Google X's "moonshot" initiatives. KUT spoke with festival director Hugh Forrest about what's new to Interactive and why he thinks, after years of consistent growth, the crowds may have finally plateaued.